Mrs. Castro is a Library Media Specialist for E.T. Wyman and Park Elementary Schools. Within this online library you will find resources geared especially for children from K-5th grade, but there are also pages for parents, teachers and library media specialists. Please explore, learn, and feel free to send suggestions for new links you think I should add! NaturesArrangements to see what I do when I'm not reading! Watch this video for instructions on how to check out ebooks from our library. Below is a search bar for ebooks in the Wyman library. 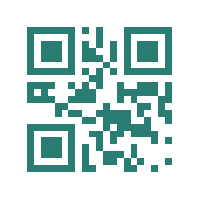 Scan the QR Code with a QR reader and find my secret message to you! Want to make your own code? Click here , choose plain text, type your message, then share it.